Today we’d like to introduce you to Felicia Cocotzin Ruiz. Felicia, can you briefly walk us through your story – how you started and how you got to where you are today. I am a natural foods chef, indigenous foods activist, and traditional healer here in the Phoenix area where I was born. I’m a native Native. My lineage stems from northern New Mexico where I carry blood from the Tewa and Mexican peoples. My journey in holistic healing began at age twenty-two when I enrolled in school to become a massage practitioner. However, my learning began much earlier learning how to wildcraft plants with my great-grandmother in New Mexico. She was a medicine woman specializing in herbal ways. After owning my own bodywork practice for many years, I began learning about herbs, aromatherapy, and natural foods. I incorporated those teachings into my work along with my own Indigenous teachings and have been working with those modalities since. 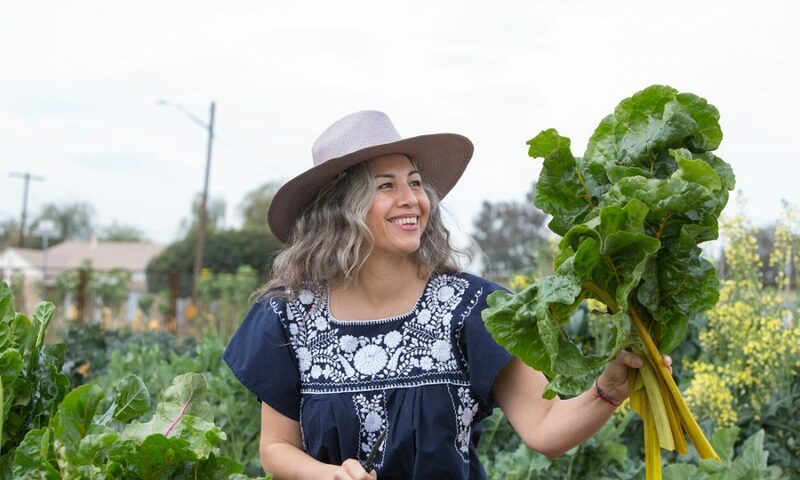 Owning a restaurant and other food-related businesses in my thirties allowed me to fine tune my cooking skills, where I now incorporate all of my “gifts” into one – helping people heal from the inside out, through food and traditional healing. I am a curandera of culinary medicine as named by my elders. Definitely not! I was told NO many times regarding my work, but now I feel society is catching up to what I do. I suppose it was timing and being persistent about what I was passionate about. My advice is to never compare yourself to others and always be your true authentic SELF. It’s easy to see how others may have 12K followers on social media and you may have 168. But in my own experience, it’s my face to face connections that mean the most. I am my best advocate. So let’s switch gears a bit and go into Kitchen Curandera story. Tell us more about it. My work is definitely multi-faceted. In terms of my culinary work, I have been a personal chef to a high-profile celebrity athlete, to helping low-income people learn how to cook healthier foods for themselves. My brand IS me, so I do my best to practice what I preach. I stand out because there are not many female chefs in the spotlight, especially Brown ones with gray hair. I believe in natural beauty and true femininity, and sometimes that is difficult in this line of work where we are often times told to “man up” in the kitchen. I am fortunate that I have worked for myself long enough that I have the confidence to say when I cannot do something without feeling retribution from a male counterpart. As for my healing work: I work with wellness resorts here in the Southwest and in Mexico offering workshops on indigenous healing practices and I offer private classes and consultations here in Phoenix for those desiring support during a healing process. In my own case, I feel we as a society are returning slowly to Mother Earth, recognizing our plastic usage, our water usage and so on. This comes from a feminine space, so teachers like myself are in greater demand as we too carry that energy.